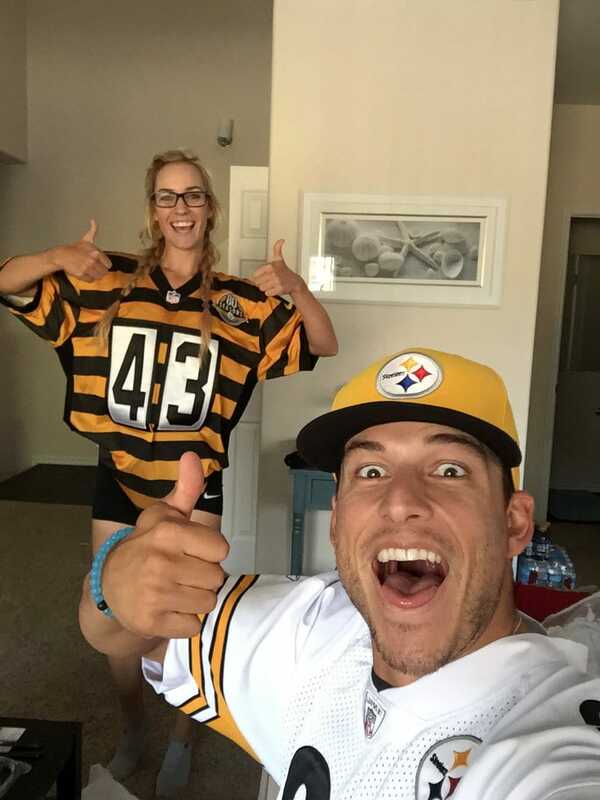 1 Who is Paige Spiranac? 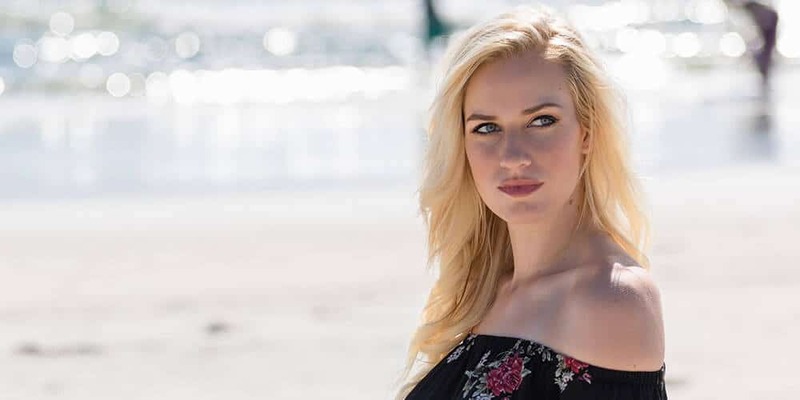 7 What is Paige Spiranac’s Net Worth? Born Paige Renee Spiranac under the sign of Aries on the 26th of March 1993, in Denver, Colorado USA, she is a 25-year-old Caucasian golfer, fitness model and social media personality, perhaps best known to the world for her athletic achievements, such as leading the San Diego State Aztecs to their first Mountain West Conference Championship in the history of that school, and posting trick shot videos on her social media accounts. She has also had a number of other successes throughout her sometimes lucrative golfing career, having officially turned pro in 2015. Short game strong. Caption game weak. Paige was raised in the municipality of Wheat Ridge, Colorado in an athletic family, by her father Dan Spiranac, a member of the 1976 Pittsburgh Panthers national championship football team, and her mother Annette Spiranac, who was a professional ballet dancer. Paige has an older sister named Lexie, who received a university athletic scholarship, and competed on the Stanford track team. From an early age, Paige was interested in gymnastics, with hopes of eventually representing her country in the Olympics. She eventually skipped from level six to Elites, and received an invitation from the US Gymnastics National Team Training Center at Karolyi Ranch, which in a way guaranteed that she was bound for athletic success. However, she broke her kneecap twice when she was 12 years old, which eventually ruined her hopes of becoming a world-famous gymnast. She then turned to golf, for which she trained in Scottsdale, Arizona. As for her education, she was homeschooled, as she changed her location often in order to devote herself to both golf and her family. However, she later received a scholarship from the University of Arizona, where she spent a year before moving to San Diego State University, from where she graduated with an unspecified degree. Prior to attending college, Paige won five tournaments in a total of seven tries on Colorado’s junior golf circuit, subsequently becoming a top-20 junior player in the world as well as a top-five college recruit, and a two-time West Region Player of the Year, as well as a first-team All-American member of the Future Collegians World Tour. This success also won her the scholarship that sent her to the University of Arizona, where in her freshmen year she competed for the Arizona Wildcats in three events in the 2011-2012 season. Her best score that year was 73, which she set twice during her performance at the Windy City Intercollegiate. At San Diego State University, in the 2012 season she achieved First-Team All-Mountain West honors while coming in at #5 at the Cal Classic, #6 at the Mountain West Championship and #19 at the NCAA Central Regional Championships. The next season was when she achieved Second-Team All-Mountain West Honors, while she was also one of the top 10 at the end of the Mountain West Championship. Lastly, she took the Aztecs to their first Mountain West Conference Championship in the history of their school. Due to her ability and consequent fame, Paige is now affiliated with more than one brand, serving as a brand ambassador for the golf app named “18Birdies”, as well as a promoter of golf gear made by Parsons Xtreme Golf. Additionally, she is an ambassador of the Cybersmile Foundation, which is a non-profit organization that aims to end cyber-bullying. It is said that Paige herself was bullied in her early years, apparently due to a hair condition. She also collaborates with the Zero Six Fitness website, and helps its employees figure out meal plans from specific requests of their customers. As for Paige’s romantic involvements, nothing is known about her love life prior to her first public relationship. Although it’s unknown how long the two have been together, in late December 2016, after her trip to the Dubai Ladies Masters, she became engaged to her now fiancé Steven Tinoco, a former minor league baseball player; it is unknown when the two will marry. What is Paige Spiranac’s Net Worth? Have you ever wondered how rich Paige Spiranac is, as of mid-2018? According to various authoritative sources, it has been estimated that the current total of Paige’s accumulated wealth is close to $1 million, while her current annual earnings are said to be over $500,000. She made her fortune primarily as a golfer and social media personality, while she earned the most from her long-term presence in the media as the face of numerous brands. As her career continues to develop, the said amount can be expected to increase. First morning as official starter at the OMEGA Golf Dubai Desert Classic down, now on to day 2! Concerning the physical attributes of the experienced athlete, her vital statistics are 36-24-34, while her height is 5ft 8ins (1.73m) and her current weight is 132lbs (60kg). Her body shape is generally described as hourglass, while her hair color is pitch dark and her eyes are dark brown. Additionally, her shoe size is 7 and her bra size is 36D. Due to the major influence of social networks, it is nowadays a regular thing for active celebrities to nourish a close and active relationship with their fans, for the sake of increasing the popularity of the projects they’re working on, and thus their own net worth. Paige herself seems to be a regular subscriber, if not the leading example of this celebrity trend, as her presence is ubiquitous on most of the popular social media networks. Her Facebook page has over 250,000 followers, her Twitter account more than 200,000, and her Instagram account has almost 1.5 million fans.